When a King bans the dark completely, installing an artificial sun, and enforcing "anti-dark" laws, it seems like a good idea. The citizens don't need to worry about monsters, crime, or any of the other scary things that might live in the dark. But what happens when nobody can sleep, and the citizens revolt? Will the King face his fears and turn the lights off? 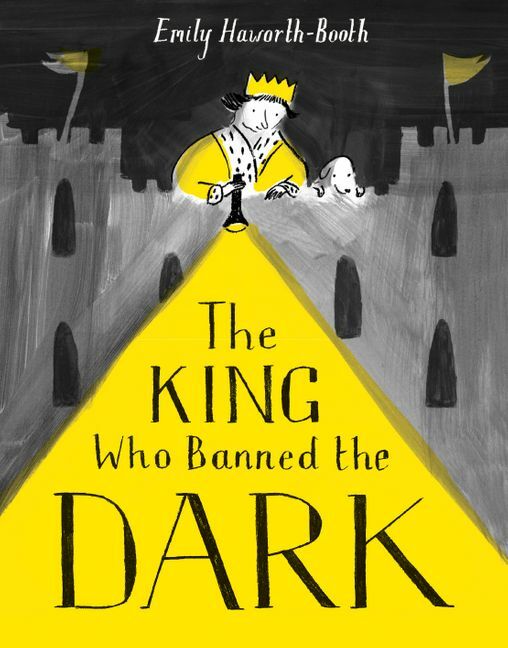 The King Who Banned the Dark is a beautiful story about how we need the dark in order to enjoy the light. Emily Haworth-Booth is an author-illustrator and educator, teaching courses on comics, graphic novels and illustration at the Royal Drawing School in London and running workshops for adults and children at other locations nationwide. In 2013 she won the Jonathan Cape/Observer/Comica Graphic Short Story Prize for her story 'Colonic' and was runner-up of the same prize in 2008. Her comics have appeared in print in the Observer and Vogue.